A Curriculum Vitae is an essential marketing tool and getting a meeting can depend on how good your CV is. The way you present your CV can have an overwhelming influence over whether your CV is even read, let alone get a meeting. You need to consider what to include, how much detail is needed and how to make your CV stand out from others. 1. Construct your CV with your prospective client in mind. Look at the assignment advert or specification and think about what the assignment involves, and what the client needs. Find out about the client, culture, operating style and make your experience relevant. 2. Tailor your CV to the assignment. Your CV shouldn't be your life story but should be tailored for the assignment you're applying for, focusing on the aspects that are important for that role. 3. Make it clear and tidy. Check your spelling and grammar and read it through carefully. It’s amazing how many CV’s have spelling mistakes in them. 4. Place the important information up-front. Put experience and education achievements in reverse chronological order. Include experience and interests that might be of use to the client: IT skills, voluntary work, foreign language competency, driving skills, leisure interests that demonstrate team skills and organisation/leadership skills. 5. Quote concrete outcomes to support your claims. For example, ‘This reduced the development time from 7 to 3 days’ or ‘This revolutionised the company’s internal structure which led to a reduction in overheads from £2.3million to £1.7m per year’. 6. Include information which may be viewed negatively – failed exams, divorces, failed business ventures, reasons for leaving an assignment. Don’t give the meetinger any reason to not include you. 7. Make your CV more than three pages long. You can free up space by leaving out or editing information that is less important. For example, you do not need to include referees or include a detailed account all of the assignments you have held since school. Place more emphasis and detail on the recent and most relevant ones. 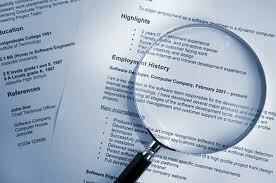 Add details about your most recent qualifications, which are more relevant, but summarize the rest. 8. Dilute your important messages. Don’t bother with a list of schools you attended or a long list of hobbies. Such things like this and school grades can be summarised. Concentrate on demonstrating the skills they require, what you have achieved and what benefits your clients have gained from your work. 9. Use jargon, acronyms, technical terms - unless essential. 10. Lie – In this era of the “Information economy” people and clients have many ways of checking what you say is true, and may dismiss you from the process or at worst employment if they find this is untrue.